Movie lovers have been treated to some incredible entertainment during the last few years. Long awaited Iron Man Franchises and Star Trek have thrilled Sci-Fi fans, and fantasy movies such as The Hobbit have revolutionized the world. Dramas such as 12 Years a Slave and American Hustle mean that there will also be a lot on offer for movie fans this year. Here are the top 10 upcoming movies you should expect this year. A movie about Mangano, the lady who invented the miracle mop, wouldn’t be one of the most awaited movies of any given year. However, with star Jennifer Lawrence and director David Russell on board, it is a must see movie. Silence is a project that Martin Scorsese, the greatest ever living director of all times, has been chasing for a very long time. Based on 17th century Jesuit priests in feudal Japan, it follows the account of Andrew Garfield (a young priest) who is sent to the Far East to look for Liam Neeson (his Mentor) by his Portuguese order. Despite being one of most awaited summer movies of this year, Ant-Man is already one of the biggest disappointments so far. No matter how you shrink it, as long as we don’t get Edgar Wright’s Ant-Man it will be a very big shame given his unique style and the seven years of build-up. However, Marvel Studios’ other movies for this year can’t be denied the chance rock your world. Although it has a silly title, Terminator Genysis (or is it Genisys!!) could be the first Terminator movie to be worth watching since 1991. For beginners, this quasi-sequel/reboot has very wise cast such as Jai Courtney as Kyle Reese and Jason Clarke as John Connor. But the most exciting is Matt Smith in a role that has not been revealed; though it is thought to be chillingly cold in some way. The boys (Vinnie Chase, Johnny Drama, E and Turtle) are back in the long awaited big screen edition of Entourage. No matter what, an Entourage series is welcomed, since it needs to improve on its awful final season. Entourage is directed by Doug Ellis who also happens to be a co-writer. Let just hope that Sloan and E are seen happily together. The secret of Brad Bird’s upcoming movie Tomorrowland, which was initially scheduled for last year release, is still a mystery. However, it is one of the must see movies for the year 2015. It is a Sci-Fi movie which bends reality and time as Britt Robertson and George Clooney travel to another place simply known as Tomorrowland. It has been a long, tiring road to see another flick starring Rockatansky hitting the screens. Even the original movie star has changed to a box office friendly Tom Hardy from the controversial Mel Gibson. Mad Max: Fury Road look good! This is probably the biggest of all upcoming movies for 2015. Avengers kick-start the summer movies season of 2015 with a picture that fans have been craving for since 2012. With Joss Whedon at its helm, Avengers might live up to its excitement. Age of Ultron examines what the super team does when they face a little too satisfied post SHIELD. Watch out for this movie! 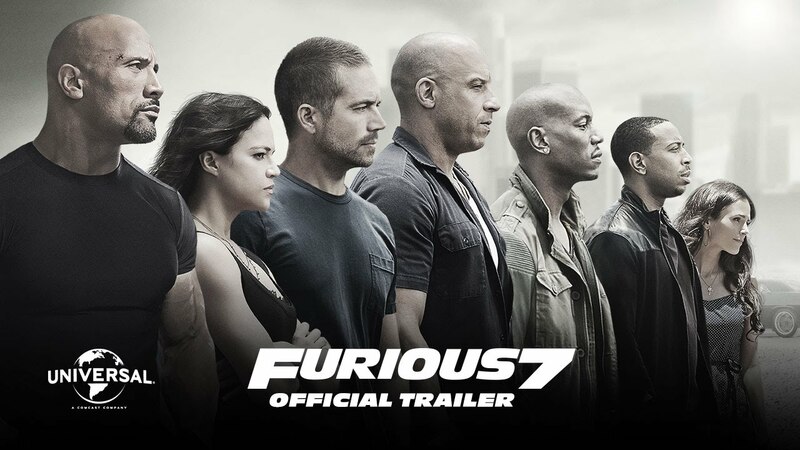 Fast and Furious 7 was one of the most awaited movies of the year 2014 until the tragic death of Paul Walker. Fast and Furious 7 now stand as the final tribute to one of the best movies star, and one last hooray of for the entire intact gang. Director James Wan has taken over Furious 7 for his first sail outside of the horror scenes in nearly a decade. It will be interesting to see how he will respond when he is outside his comfort zone. As the 4-part Hunger Games film comes to an end, its fans will finally find out what happens to Peeta, Katniss and the rest of the exploited dwellers of Panem. The popularity of this trilogy meant that movie lovers couldn’t avoid a movie series, and it has not disappointed this far. Its author Suzanne Collins generated terrifying vision of the future as well as strong characters, and this combination has translated well to movie screens. Fans of these books understand that this last piece will be filled with action. The lead character, Jennifer Lawrence has been praised for bringing her role to life, and she can certainly take some credit for it as well as the success of the movie.